At the beggining of 2016 I wrote down a list of things that inspired me and that I enjoyed last year. At the fresh start of this year I am excited to share with you all the things that excited me in 2016. There was a lot of traveling, music, good books, movies, awakening documentaries and blogs and resolutions that followed them, tasty food, some nice things for our home... Let's start the year with music, because it's the thing that, alongside traveling, moves me most. It can make me happy, sad, inspired, you name it. Music: We went to a Bruce Springsteen concert in Milano this summer. It was the best time we had on his concerts sofar (and we had so much fun each time!). Maybe it had to do with Milano, with Stadio San Siro, with cheerful Italian fans and the fact that Bruce loves performing in front of them. But it also had to do with the fact that the concert was part of his The River Tour, and the playlist selection was outstanding. There's an accompanying CD collection called The Ties That bind: The River Collection, and it's amazing list of Bosses well and not so well known songs. My favorites: Point blank and Drive all night. I rediscovered Yann Tiersen lately on Arte TV (another of this year's favorites!). I knew him as a composer of the amazing soundtrack to equally amazing movie Amelie. Live in the city of Nantes is one of the most beautiful performances and music which (as pathetic as it may sound) fills my heart with pure joy and inspiration. Thanks to Arte TV I discovered an ultimate feel-good performer, Calypso Rose. Her concert in La Cigale Theatre in Paris is so groovy and the entire band along with the fans are having so much fun that it's contagious. It will make you dance. To end this list I have to mention a choir song that I heard on a concert here in Zagreb in December. It's called Lully Lulla Lullay, it is composed by contemorary choir composer Philip Stopford, and it is pure beauty that gives me chills every time I hear it. I found a version performed by Ecclesium choir led by composer himself, but maybe I liked even better the version where the kids sing. Unbelievable. Travel: We traveled a lot last year, even for my standards (and I'd like to travel all the time). We went to Italy (Veneto and Alto Adige in January, Milano in July and then Umbria in October), Belgium, Luxembourg, Japan, Austria, and the island of Cres in Croatia. Each of this travels was very special to us in its own way: we had a relaxing couple of days camping on the most beautiful island of Cres, we met friends in Alto Adige and Vienna, we stayed with friends in Luxembourg and Japan (thank you so much Marina, Pavle, Daria and Denis, we enjoyed those trips a hundred times more beacuse of all the fun we had together), we explored the culinary scene and the Triennale in Milano, watched the sunset from the roof of Duomo, and enjoyed our favorite singer's concert along with thousands of other fans, we spent a week in the fairy tale setting of Umbrian hilltop towns, enjoying the cuisine (one of Italy's best) and the unbeatable views. But if I have to pick something from that list (and although everything else was amazing as well), it has to be Japan! Because of the cherry blossoms, of insanely big yet "feels small" Tokyo, of the friendliest and kindest Japanese people, of busy Shibuya crossing in comparison with peaceful temples and shrines, of the most delicious and diverse food (Japanese cuisine stands proudly side to side with the Italian on my list), of the fastest trains that are never ever late, of the town of Kanazawa which is everything you can imagine about traditional Japan, because of our friends that welcomed us so warmly (and took to the best bars in Tokyo!). I'm looking forward to our next travels which will include (hopefully) Berlin, Italy, Spain (or France? ), London and Iceland. But that's something we're still working on. Blogs: There are two blogs I have been following regularly last year: Mimi Thorisson's Manger and Erin Boyle's Reading my Tea Leaves. Both lifestyle blogs (Mimi's is officially a culinary blog, but there is a lot of lifestyle there as well), and very different ones! Mimi lives in a chateau in France with her big family and a pack of dogs, celebrating life in the French countryside, cooking decadent feasts and blogging about it in a way that living in the countryside suddenly feels like the right thing to do. Her posts are spiced with her husband's photography, reminiscenting Caravaggio style of light and shadow, with still lifes looking like taken directly from baroque paintings. Erin lives in Brooklyn, New York with her husband and daughter, in a tiny apartment where every thing that goes in has to be carefully considered. She celebrates life in the big city, but also simplicity, nature, sustainability, little things that make every day so wonderful. Her ideas, and consequently, her writing is focused and direct, and the simplicity of her life is reflected in her photos. When I need inspiration to live simpler, surrounded with less stuff, to find joy in everyday little things (a cup of tea, a bloomed branch on the table, a book waiting to be read) I turn to her blog. Movies: We were quite regular cinema goers last year, but we watched a lot of movies at home as well. The list is long, and I'm sure I forgot some great movies (feel free to write down the list of your favorites in the comments below, I'd love to watch them). The Danish Girl for its scenography, cinematography, Alicia Vikander's performance, Alexandre Desplat's music. Fuocoamare for taking us closer than we might have wanted to the tragic events that are happening on Lampedusa and introducing interesting local characters with their everyday life. Also, excellent cinematography. A Bigger Splash for capturing the essence of summer on Sicilian island of Pantelleria. And Tilda Swinton's outfits. A Man Called Owe for making us believe that there's something good in every man's life, and for making us appreciate what we have. Toni Erdmann for being genuinely funny and heartbreaking at the same time, while capturing a father-daughter relationship. Cairo Time for taking the viewer to the busy streets of Cairo with all its heat, chaos, golden hues, and beauty. For making me want to visit the city one day. And for telling a decent love story. Hunt for the Wilderpeople for making the entire cinema laugh loudly, silly, sincerely while telling a delicate story about a boy who's childhood is defined by living in juvenile homes and foster families. Books: I wasn't as dilligent book reader as I was movie watcher last year, and one of my New Year's resolutions should be to read more books. During the course of the last year I borrowed 20 books from the library, and read a couple more borrowed from family or friends, but that's it. I guess all the wonders of internet have stolen my attention, but that's about to change. One of the books I liked the most (and I know it's not for everyone's taste) is Sketches from a Hunter's Album by Ivan Turgenev. It's a compilation of short stories that depict nature, people and events happening during author's hunting trips. It's an open critic on feudalism, a praise of Russian nature, but above all a disarming portrayal of people, their relationships and struggles. I recently read Kjell Westo's Dar vi en gang gatt (Where We Once Went), and it was one of those books that keep your mind occupied even after reading it. It follows the interconnected life stories of a couple of finnish families through a period from 1905 to 1944. The stories soak you in to the finnish capital atmosphere of the period: the nightlife, the arrival of jazz music, the prohibition, the evolution of football teams, the fashion. I'm not quite sure if it has been translated to English, but for all my Croatian readers, it has been translated to Croatian, and it will be an interesting read for the wintry days ahead. First, a pair of colorful earrings I found on a hot summer day in Milan's district of Brera. Just after a visit to Pinacoteca di Brera and before the lunch at iconic Latteria San Marco restaurant. They are made of wood, but look like precious stones, light on the ears, and perfect for making a simple outfit special. Designed by a pair of Milanese designers under the fitting name of Rosso Prezioso. Second, a ceramic necklace I fell in love with wandering Perugian Via dei Priori street. I didn't buy it immediately though, it was during dinner that I decided that I would really, really like to wear it, so I stormed out of the osteria, in a tiny time gap between two courses, and came back with it just in time for the main dish. It was made by lovely mother-daughter team and selled in their shop/workshop called Materia Ceramica. 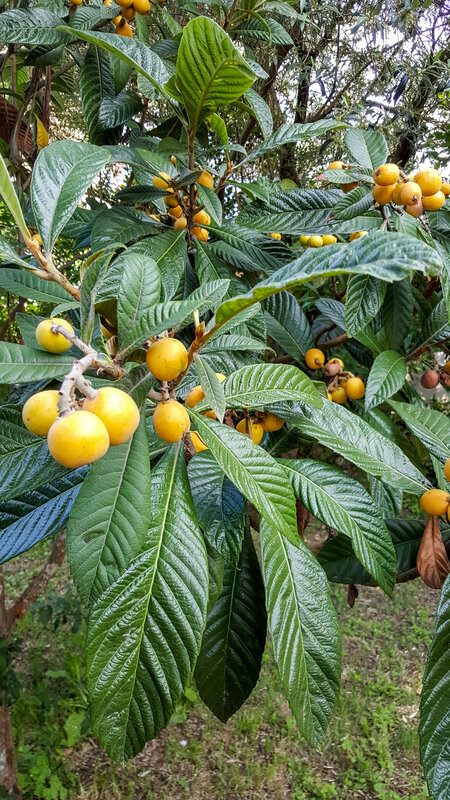 Recipe: There was a lot of cooking in our home last year, but we were especially proud of the home made jam we made of the loquats growing in our garden. The tree gave fruit for the first time last year, and we had to make something out of it! I found the recipe on the internet and was happy to find out that loquats have high content of pectin and therefore don't need any artificial ones while making jam. We got 4 delicious jars last year, ate them in a couple of weeks, and now we're waiting to see what will this year bring. I think I used this recipe. During our trip to Umbria we stayed at this magnificent agriturismo near Todi, where we were greeted with a tasty crostata di marmellata (Linzer Torte, jam pie, whatever you call it). I tried to recreate it at home, using Jamie Oliver's recipe for the crust, and then just filling it with the entire jar of jam (first time with plum jam, second time with raspberry jam). When I baked it for my mom's birthday I felt creative and adorned it with crust leaves (it was also very suiting for November), and we even did a little photoshoot of it. In the summer I try to make the best of the tomato season, and there were a lot of tomato-related dishes on our table. One of the tasties recipes included tomato, chicken, basil and cream and if you like the ingredients I'm suggesting you give it a try. Home: Lately I've been trying to be more conscious about the stuff we bring into our home. In other words, if I don't really need or have a good plan what to do/where to put an object I'm considering taking home, I refrain from buying it. There can always be a little exception, if an object is handmade and beautiful, and if there's a travel story surrounding it. During our trip to Japan in March, we visited the town of Nara. We spent most of the day exploring temples and a botanical garden. On our way back to the train station, we decided to take another route, crossing a residential neighbourhood. And there it was, the most beautiful ceramic shop in all of Japan! The sweet lady was making ceramic herself and selling items made by local artisans, each one more beautiful than the rest. We came home with two teacups and two bowls, adorned with pretty blue and yellow flowers. Drinking tea from those cups has become sort of a ritual to me: I make some green tea, if it's warm weather, I sit on my terrace, sip the tea and think about our time spent in Japan; if the weather is cold, the procedure is pretty much the same, only in this version I'm tucked under the blanket in my living room. A thing that can bring so much nice memories and simple joy is definitely worth making its way into one's home. Documentary: The most fantastic documentary we saw last year was David Attenborough's Great Barrier Reef, and that should come as a no surprise. Because I'm pretty sure no one can surpass nor Attenborough nor BBC production when it comes to filming natural wonders. You *may want to book plane tickets for Australia after watching this. Something completely different in terms of filming and presentation was Bag it Movie, but with the same final goal, that is protecting our oceans, and subsequently enviroment. Bag it talks about the effects of using plastic in our everyday life- effects to our health, to animals wellbeing and to the marine enviroment as a whole. I'm ending my 2016 list deliberately with this movie, hoping that at least some of you will take time to watch it. It might just nudge you in the direction of taking small but important steps in protecting our planet. I would love to hear your favorite 2016's travels, books, movies, anything that made your year!